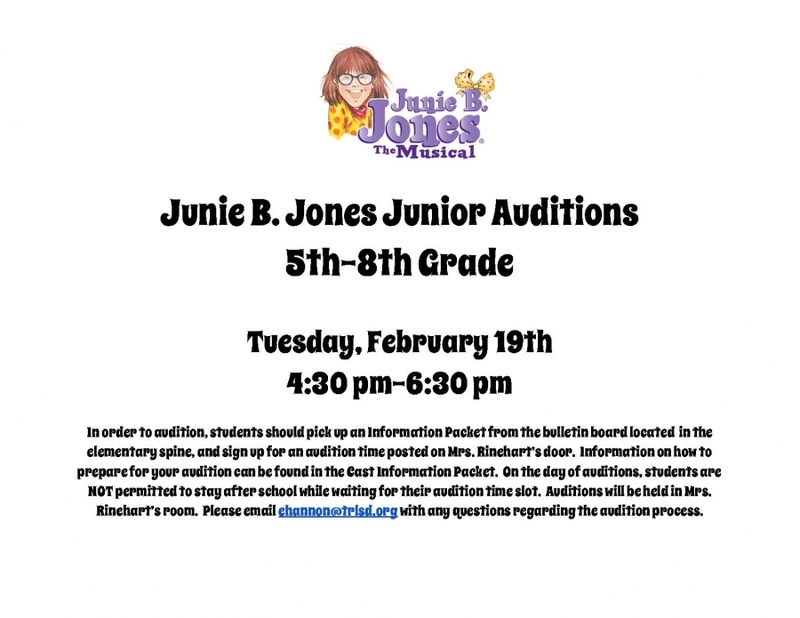 In order to audition, students should pick up an Information Packet from the bulletin board located in the elementary spine, and sign up for an audition time posted on Mrs. Rinehart’s door. Information on how to prepare for your audition can be found in the Cast Information Packet. On the day of auditions, students are NOT permitted to stay after school while waiting for their audition time slot. Auditions will be held in Mrs. Rinehart’s room. Please email ehannon@trlsd.org with any questions regarding the audition process.